An influential man in the church was willing to allow me to use his beautifully weathered hands to capture these images of the Eucharist. 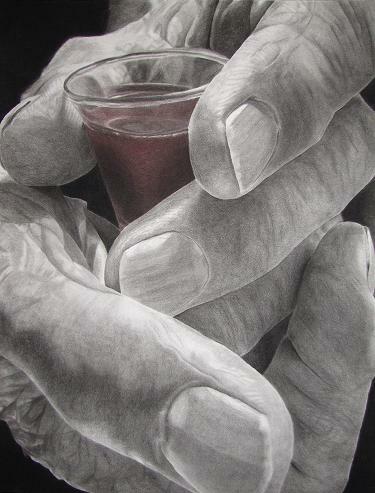 Communion is an act of thanksgiving, done in remembrance of the Man who Saved the World. For all that He gave. For all that He sacrificed. Every taste is a reminder of His body broken, His blood spilled, when it should be our bodies and our blood. It was this grace that leads to our continual thanks.